These days, control panels and electrical components are being used in a wide array of configurations and applications to accomplish a means to completion of an installation. In the world of Fire Alarm, it is critical that you understand how UL actually recognizes the equipment and electrical infrastructure you are working with so you can maintain your proper listings for system approvals. This article is being written to carry on information that is readily available on the internet, but that I have condensed and brought to you here on the blog to consume and share with your colleagues. UL investigates and Lists a wide range of fire alarm system control units and equipment. This includes two basic types of configurations: products that arrive from the factory as completely assembled units and products that are assembled in the field from various SUB-ASSEMBLIES. In order for you, the working force behind the installation applications, to ensure you are UL compliant, it is important to understand the UL Listing Marks that each type of unit should bear as well as related installation considerations. 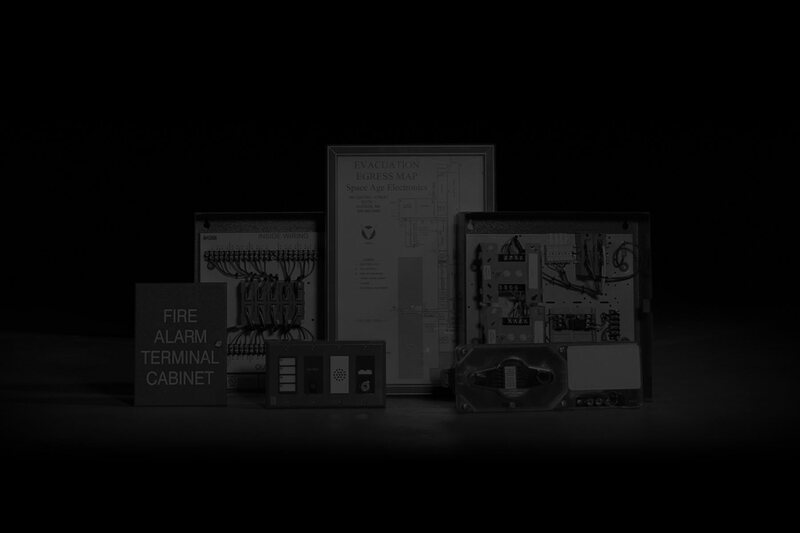 All UL Listed fire alarm control units, (Fire Alarm Panels, Power Supplies, etc) equipment (Individual components of the system) and accessories (Devices in the field, Modules, Relays, etc) include the UL Signaling Listing Mark on the product or on the smallest unit container in which the product is packaged. This Mark includes the UL symbol with the word SIGNALING above the UL symbol and the word LISTED below the UL symbol, a control number, and the product name, e.g., Fire Alarm Equipment or Fire Alarm Sub-assembly. This is critical to understand. There are different listings for combined control units and for sub-assemblies. A single fire alarm equipment label is applied to control units and control unit accessories that represent complete products. For example, a control unit with an enclosure, power supply, and all of the applicable circuit boards that form a minimum configuration system typically would bear a single Fire Alarm Equipment Listing Mark. This Listing covers the complete unit, including the circuit boards, power supply and equipment enclosure and does not require additional components or sub-assemblies to be provided to form a minimum system. A Fire Alarm SUB-ASSEMBLY Listing Mark is applied to each component of a control unit or accessory that do not represent a COMPLETE PRODUCT. Typical sub-assemblies include a control unit or accessory enclosure, separate circuit boards, power supplies, assemblies without enclosures, and similar components. Often, fire alarm control units are modular and assembled in the field. In this case, there may be several fire alarm sub-assemblies that make up a fire alarm control unit. The manufacturer’s installation instructions detail the arrangement of sub-assemblies required to create a fire alarm control unit and/or system. Make sure all system components include the word “SIGNALING” as part of the UL Listing Mark. Verify that the equipment includes a Fire Alarm Equipment Listing Mark, and/or that field installed or assembled components such as enclosures, circuit boards, internal power supplies and modules and similar components include a Fire Alarm Sub-assembly Listing Mark. Products and components that do not bear one of these markings are not considered to be UL Listed. **What is important to note here is that UL recognizes parts as sub-assemblies if they each bare their listings individually and are combined in a similar marked UL enclosure for control or integration. The electronics being used should have a sub-assembly UL marking. The terminal blocks and other isolation relays should have UL sub-assembly markings. As long as the equipment is listed separately for the intended use, they can be configured together in the same listed enclosure as a recognized sub-assembly. Confirm that the system is configured and installed as described in the installation instructions referenced on the product markings. This should mean to not modify the mounting of the equipment in any way other than what the manufacture manufactured the device for. Like drilling a hole in a device or the like to mount it to a surface. Use what is provided. Install the equipment in accordance with all applicable code requirements, including those found in NFPA 72. If you found this useful or have more questions about the UL Listing marks you find on equipment you use all of the time in these scenarios, please let me know. Also, please pass this information on to someone you know may need to better understand the UL acceptance of a particular application. It could save them headaches down the road. ← Bull or Bear? Construction is all BULL!